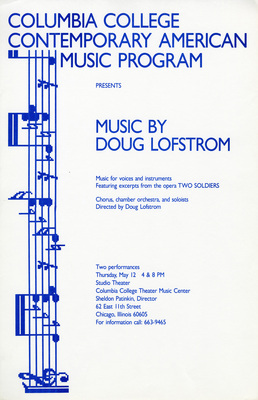 Music for voices and instruments featuring excerpts from the opera Two Soldiers. Chorus, chamber orchestra, and soloists. Directed by Doug Lofstrom. Studio Theater.